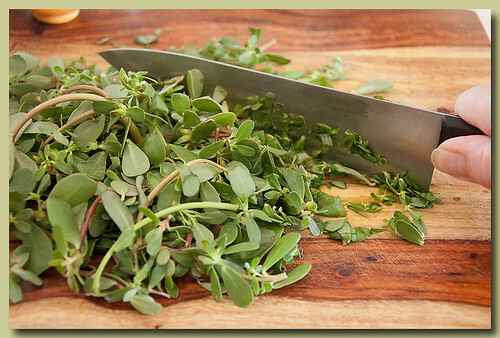 I have an abundance of purslane and I am using it in every imaginable way. 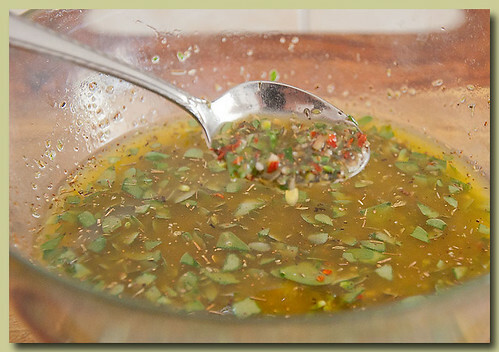 In scrambled eggs, salads, pickled, pesto and now an Argentinian chimichurri sauce. 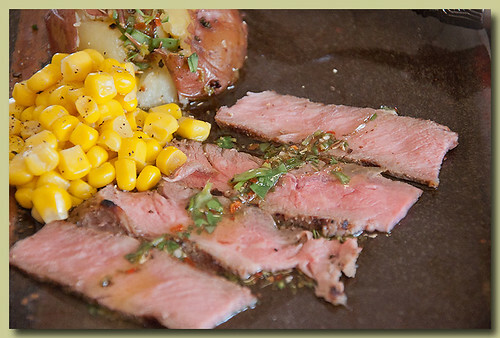 I spooned the sauce over sliced steak, smashed potato and drizzled some of the oil over the corn. Just a few simple ingredients for a great sauce. Red wine vinegar, olive oil, salt and pepper, dried oregano, red pepper flakes, garlic and purslane. 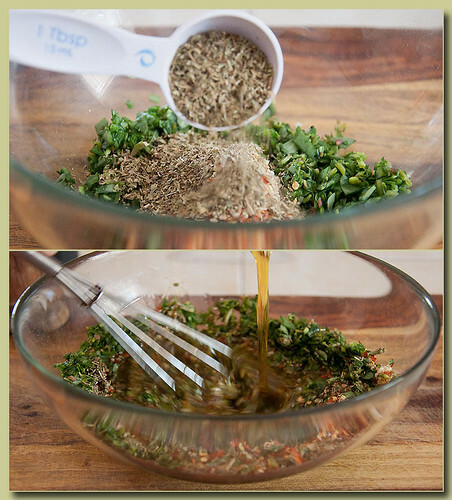 Chimichurri sauce is typically made with parsley so the recipe at the end of the post calls for parsley. Roughly chop the purslane. I removed only the larger, tougher stems. 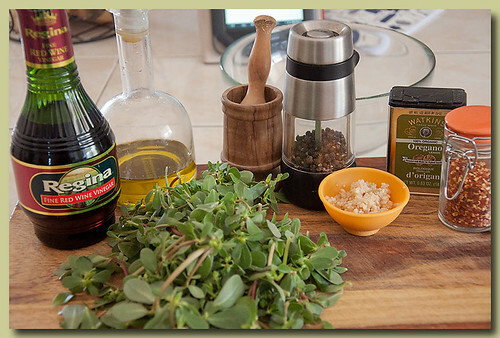 dried oregano and the oil and vinegar. Whisk, whisk and it's done. 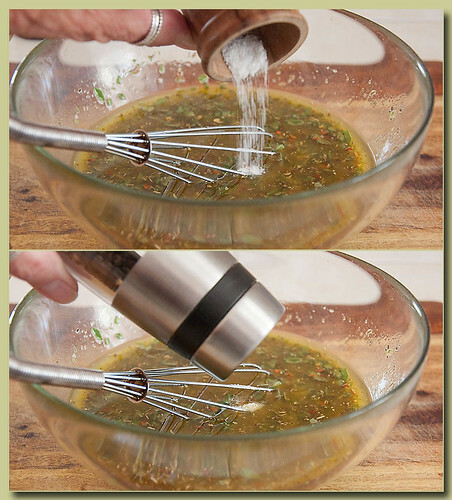 Some make it in the blender, it makes a more cohesive sauce. There you are, Chimichurri sauce. 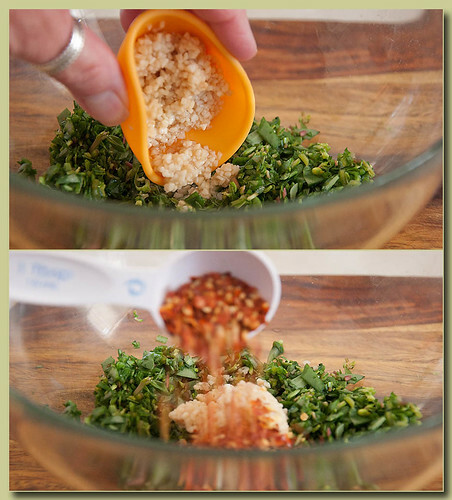 Combine the garlic, parsley, oregano and red pepper flakes in a bowl. Let sit at least 2 -3 hours. Serve with grilled or roasted meats. store refrigerated in a glass jar, will keep for up to 1 week.